We all know that oxygen is vital to our health. 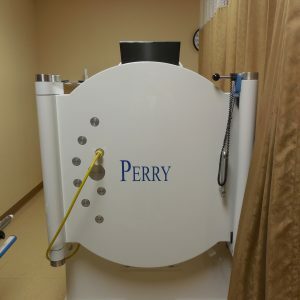 Hyperbaric Oxygen Therapy, also known as “HBOT”, is well known in the medical world to increase the oxygen saturation in our blood, resulting in many therapeutic benefits. 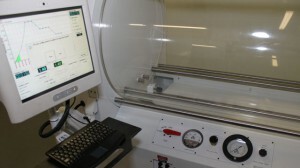 There are a few different types of hyperbaric chambers that serve different purposes. 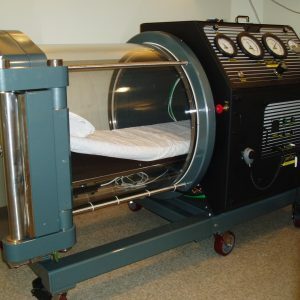 A “monoplace” chamber is one which treats a single patient at a time, and is typically pressurized by pure oxygen. Because of this pressurization method, there is no need for a hood or mask for your patient. Communication with your patient is typically done via an intercom system. These chambers are constructed from a combination of steel and acrylic, with differing internal diameters, allowing for flexibility in size. 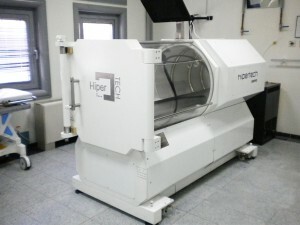 At Hyperbaricstore.com, we sell new, used, and refurbished monoplace hyperbaric chambers to serve the needs of all applications in the industry. Note: Monoplace prices vary widely, we have created this price guide to answer common questions. The H series is the top of the line model offered by Sechrist. The H series has a lower profile than normal models allowing for an easier and safer access of the patient to the gurney. This particular model has a spacious internal diameter of 36", a hydraulic gurney, and goes to 3 ATA, pressurized with pure oxygen. 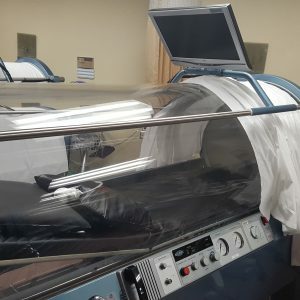 The 34 inch acrylic cylinder of the SIGMA 34 hyperbaric chamber allows patients to be inclined up to 25 degrees, thereby alleviating the feeling of confinement. This model is easy to install or relocate. Mounted on heavy duty casters, it is maneuverable around corners and hallways and fits through standard doorways. Low initial investment, and a minimum space, staffing and facility renovations requirements make the SIGMA 34 ideal for new program start-up or increasing a program's patient capacity. This particular SIGMA 34 has never been put into clinical use and has a dive cycle count of only 14 dives. It is an excellent choice for someone interested in a new chamber, but looking for incredible savings. Give us a call or email today and we would be glad to answer any questions you may have. 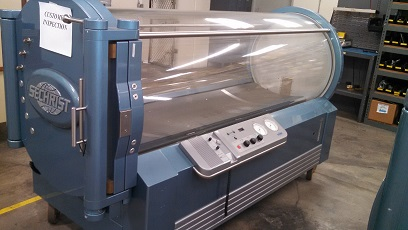 For sale is a Hypertec Hybrid 3200 Monoplace Hyperbaric Oxygen Therapy Chamber that is designed and manufactured by Tekna MFG (USA) in 2004. The unit has a low cycle count of 2065. It is a hybrid construction, half acrylic, half steel, providing additional safety and privacy for your patients, as well as additional cooling. 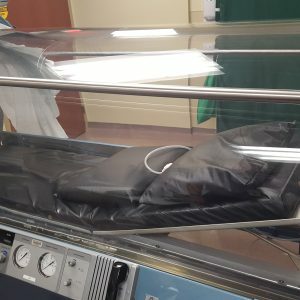 This model comes with a Stryker Hyperbaric Gurney (pictured). It is also equipped with a TCOM (Trans Cutaneous Oxygen Monitor) cable, valued at $2600. This chamber comes with free installation in a chamber ready room and a 1 year warranty from the date of installation. 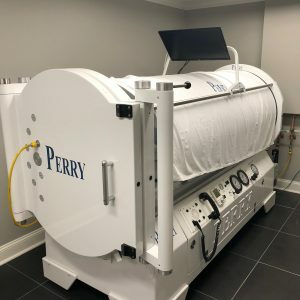 With the Perry Sigma 34 Hyperbaric Chamber, patients can rest assured knowing that the are receiving the absolute best in hyperbaric treatment care available today. 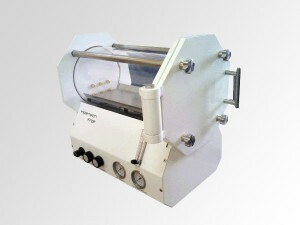 This top-of-the-line machine includes the highest level of sophistication and state-of-the-art development. 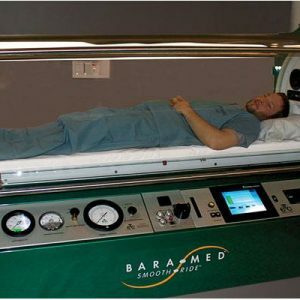 The BARA-MED Monoplace Chamber from ETC Biomedical Systems was specifically engineered to provide ease of use for hospital clinicians by utilizing several new features such as the Wedge Cushion, Gas selection panel, Hyperbaric pillow and air break system.